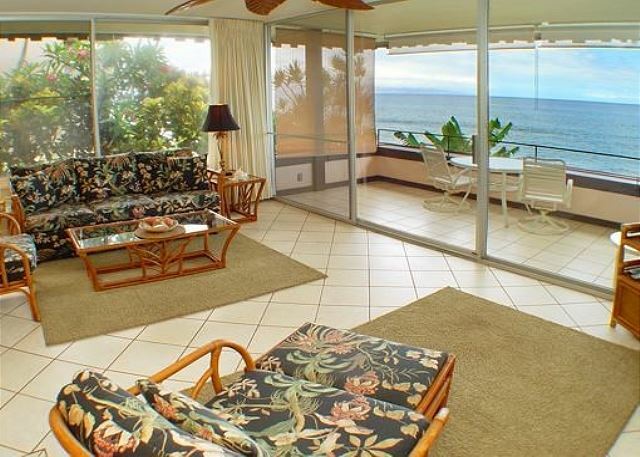 The Kulakane is one of the best locations in West Maui. 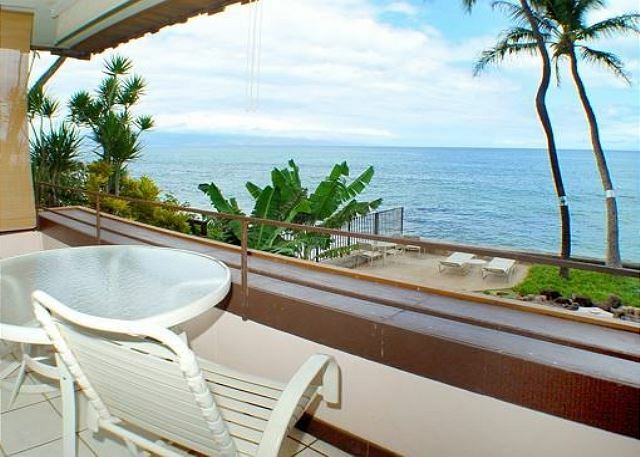 We are just steps from the water and have wonderful views of Lanai' and Molokai'. Unit 201 is a spacious end unit with expanded windows for lots of sun and light. The "in unit" washer and dryer is very convenient for quick touch ups or extended stays. The kitchen is well equipped with everything you may need. Enjoy the Friday night pupu parties, make new friends and enjoy the sunsets and the Aloha spirit. Restful, quiet and a dramatic view as always. 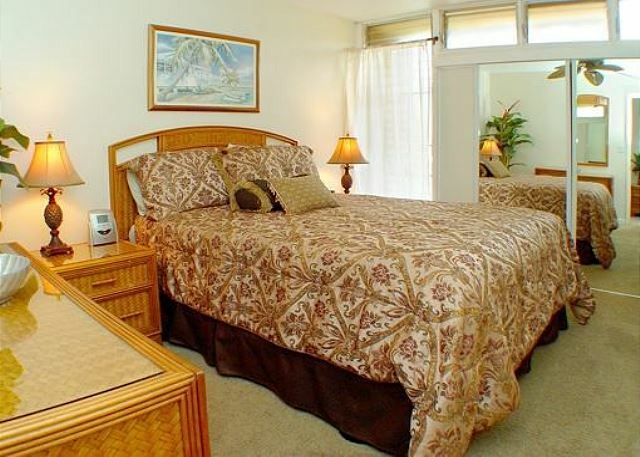 Our unit was very comfortable and beautifully maintained. We always enjoy our stay thoroughly! 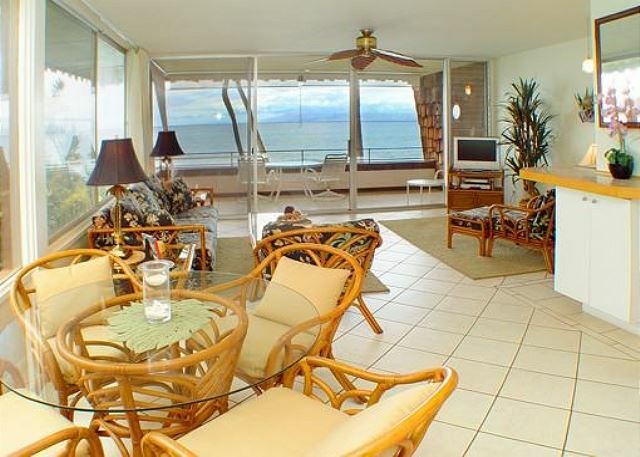 Unit 201 at Kulakane Resort was perfect for our Maui vacation. 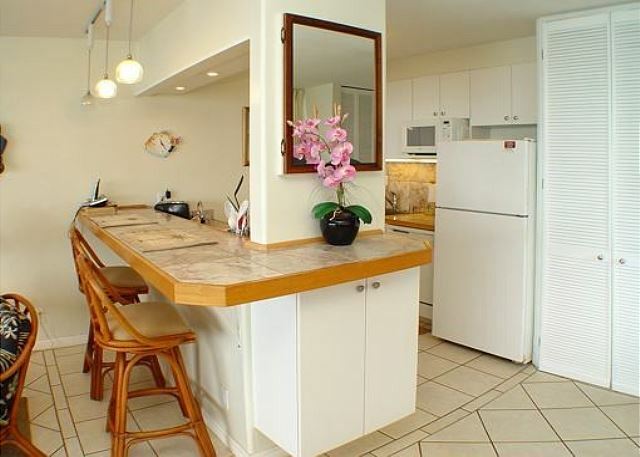 Updated, clean, good parking area, friendly neighbors, spectacular views and easy walking to food markets and dining. Another great experience at the Kulakane. We have been there many times and love the time we spend there. Excellent beyond words. We love our room we had everything we needed plus. Debbie saw to all our needs. We hope to return someday. This was our 5th stay at Kulakane, and it is always a pleasure! Sea turtles right in front of the condo and watching sunset from the lanai are always highlights! Lanai to Molakai.Saw whales every day from the lanai (much better than the whale watch we went on) and were treated to a daily show of turtles crawling up onto the beach on the adjoining property. 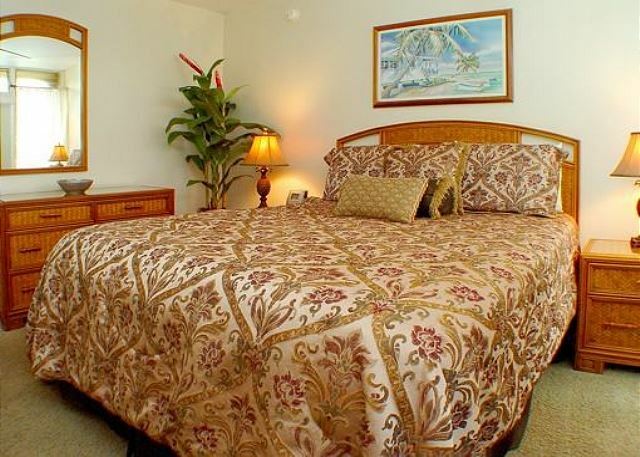 The condo was very well equipped and comfortable. Some instructions for operating the tv would be nice. Overall, a rewarding stay. Still love the Kulakane...not our best stay. We were extremely unfortunate to have several loud people (adults and children) directly above us (3rd floor) that seemed to go out of their way to make noise throughout our stay (early morning to late at night). Apparently, this particular unit (3rd floor) is not directly managed by the Kulakane and, therefore, no direct relief was available. Whatever agency is responsible seemed not to respond to requests put forth by Kulakane management. I would NEVER rent another unit below one that is not managed directly by the Kulakane again based on this experience. While the overall location and setup was fine, this particular unit is also showing its age and in need of an update/refresh. We've been staying at the Kulakane for over 20 years and this is the first time I've felt hesitant about returning. wonderful, relaxing vacation at the kulakane. best vacation ever, we'll be back soon. Excellent stay, we loved it very much. 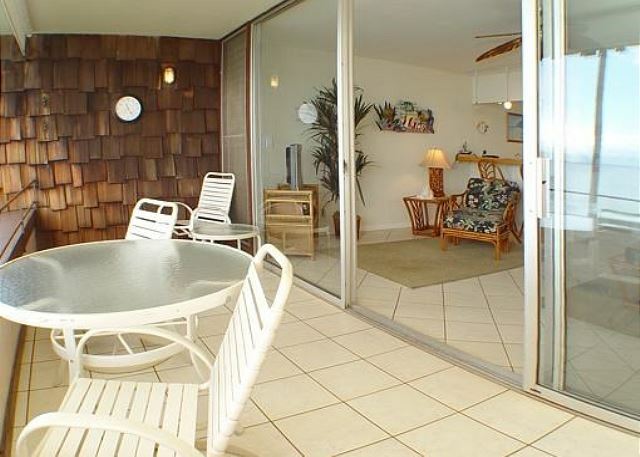 The place was great, the condo is well equipped with everything you need (beach chairs, umbrellas, etc.). The view is incredible and there is a lot of see turtles. 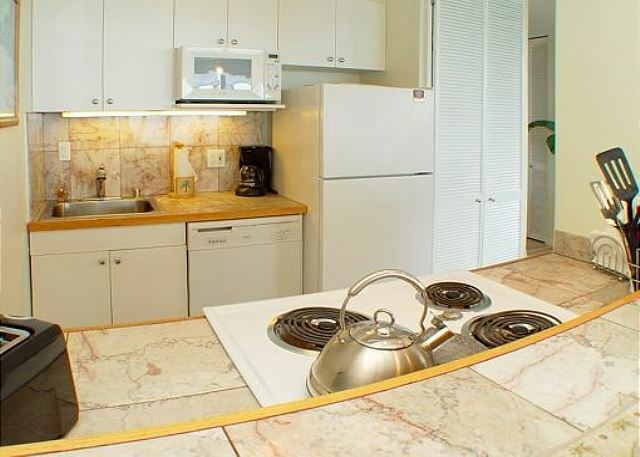 The parking is free and the condo is not far from a grocery store. Please be advised that there is no air conditioning. It might be a little hot in the afternoon but the breeze helps from sleeping. This condo had everything my husband and I needed for our stay. The shower is beautifully tiled. The smooth cooktop is modern. The refrigerator has an ice maker. The bed was comfortable. The walk in closet and safe were a nice surprise. I didn't think I'd use the washer/dryer but it was handy for rinsing towels and bathing suits. We like to walk, so I appreciated having a coffee shop, an assortment of casual restaurants and 2 markets within walking distance. The managers are friendly. Overall, the Kulakane experience was a very good one (as it usually is). While the unit we rented this time was a bit more dated/worn than those we've rented in the past, it was still very nice. One request of the owners would be to install some kind of window covering for both privacy and sunblocking. What a wild weather ride. Storms, high surf, sun and fun. Wonderful time, as always. The condo definitely has issues with rain pouring in window edges, across ceiling to fan - splattering water all over everything. We love Kulakane, but wouldn't rent 201 again until it's repaired. Don't get impression that we had bad time!!! It was exciting and fun and Debbie and Tony are the best. It's just that the weather made 201 a chore. We were very glad it wasn't our own condo. Next time we'd return to the other end 214? Or 209. Ocean, turtles, whales, surfing, passing cruise ships, sunny days, weekly PuPu Party, Nightly Conch Blowing and a beautiful condo to enjoy it from.....that is always our experience in our 15 plus times at the Kulakane. 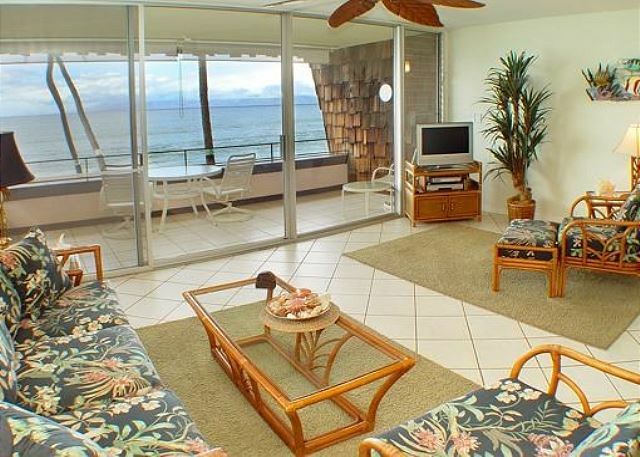 The Kulakane is the BEST place to stay in West Maui, great prices and all the condos are direct oceanfront. Look at each condo on line and pick the one that suits your needs, but just don't tell anyone else about this gem! 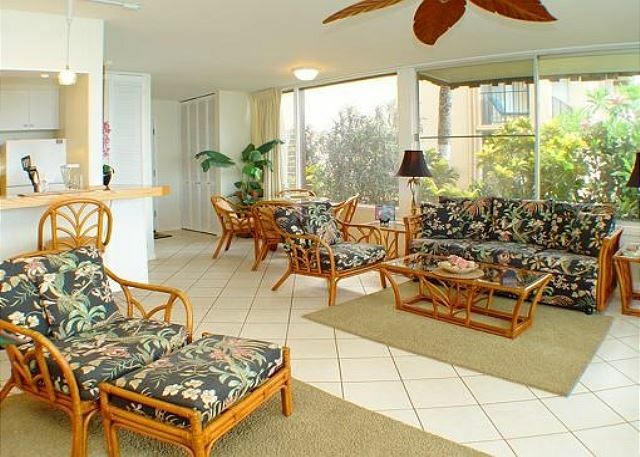 Condo 201 is a lovely place with lots of extra space and the lanai view is fabulous. The in-room washer and dryer are also a plus. However, the mattress in the bedroom (queen) is in need of replacing. It is very uncomfortable and I would not stay in 201 again if the mattress is not replaced since we spend 3-1/2 weeks with that uncomfortable bed this trip.